I've been reading some recent blog posts by women who are not LDS aka "Mormon" but they are speaking exclusively about Mormon Housewives, and especially in Utah. There is a stigma in Utah about Mormon Housewives. There is some truth to it as well. Some (not all) women in Utah feel a certain pressure to act, and live, a certain way. They feel they have to perform, put on a certain face, and be so-called "on", all the time. It is true that Utah has the highest prescription drug rate for antidepressants out of any state in the country, but I don't feel like that reflects on being Mormon, I think that has everything to do with being a "Utah" woman. Since the beginning of Utah history, women have had a very specific role that they've felt society has put on them. Because the church was founded here, that got twisted into the role that the "Church" has put them in. They are to be perfect housewives, and perfect mothers, and the perfect neighbor. Let me just clarify something for everyone reading this; there is no such thing as PERFECT anything. You are what you are, and if you feel like you're not doing the best you can, then try a little harder. All the church has ever asked of us as women, or men, is that we do our best, nothing more, nothing less. Let's define "Best". Best is not what your neighbor is doing, best is not how many children you have, best is not who takes the 1st dinner to the sick person in the ward, best is not the visiting teacher that comes on schedule every single month, best is not the mom that makes dinner every single night, best is not the wife that cans 86 jars of peaches and 92 jars of pears; oh and I forgot the salsa. 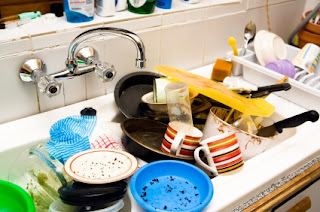 Best is not a happy home where no one fights, best is not a clean home 24/7, and best is not dinner on the table every night by 5 when your husband gets home. These are all great and if it's you, then I guess this is your "best" but so far in my life, I have yet to meet any women, mormon, from Utah, or not, that does every single one of these things. We are asked to be positive; check, I can do that. We are asked to be good neighbors; check, I can do that. We are asked to be kind; okay, got that one down. We are asked to not gossip; well I guess I screw up every once awhile when I talk about my family, but who doesn't have a crazy family right? I guess I'll work better on that. We are asked to go to church and take the sacrament; I miss church every once and awhile, so I can do better on that. We are asked to love our husband and no one else; I've got that covered. We are asked to bring children into eternal families; well crap, I can't have kids. All is lost, and I'm a terrible person, mormon, woman, etc. WRONG. I am an amazing woman, and I do amazing things. Just because I can't be a mother doesn't make me bad, and if someone thinks badly of me, well guess what, that's on them; NOT me. I also rarely have a day when I don't have dishes in the sink, when my house is completely clean, and my stairs are ever vacuumed. I just don't have the energy or stamina. Does that make me a bad person? Of course not. Do I need an antidepressant for it? No. Do some people? Yeah probably, and guess what? That doesn't make them a bad woman either. It makes them HUMAN. I think we as women in general are too hard on ourselves. In Utah it probably is a little more, but that's because of the pressure we put on ourselves. Do we feel pressure from other people? I'm sure we tell ourselves we do, but it actually comes from us. I know for me, I have had to stop caring what I think other people think of my house. I am now concerned that when they come in my home, they feel welcomed, loved, and enjoy the loving spirit that I have to share with them. I don't think they will care if my dishes are not done or if I have laundry that needs folding. I don't think they're going to mind if I don't have my make up on when they knock on my door. I don't think they're going to think poorly of me because I'm still in my pajamas at 4 in the afternoon, and if they do, WHO CARES? They have to live with that hate and darkness in their soul, but it's not something I have to worry about. All I need to worry about is me, my family, my Heavenly Father and my relationship, and how I personally am doing in my life. I need to be a good neighbor, love those that need to be loved, and let God handle the rest. It breaks my heart how many articles are written about "Utah" women and how depressed they are. I get sick of hearing how women in Utah are always trying to be perfect, and never have anything wrong in their lives. How they're always happy, and never sad. I think it's wonderful and true that the Gospel of Christ brings so much joy and happiness into our lives, but to say that every woman in Utah has the "perfect" life is ridiculous. We need to stop comparing our lives to others. To compare ourselves to what others post on FB or Instagram is insane. When on the internet, people naturally put the best things about their lives. They don't post their pile of laundry, they don't say how sick they are, they don't post photos of them doing the dishes. They post vacation photos, pictures of their families all happy and loving one another, they post the good things, because that is what everyone in this world needs to focus on. What's wrong with a little happiness? But don't for one second believe that every woman, because she lives in Utah, or is Mormon, has the perfect life. We are all human, which means we all have to live in real life, and even though you may not see it, it's there, and it's okay. It's okay to not be "Perfect". I love that my Savior has taught me through heartache, pain, and illness, that I can't have everything the way I would like all the time. My health has slowed me down, and I have learned to accept a lot of things about my life. I have learned to live with floors that aren't mopped, laundry that isn't done, grocery shopping that has to wait, and beds that haven't been made. I have learned that I'm just not a good scrapbooker, but I don't need to be. All my Heavenly Father requires of me is that I love him, and love my neighbor. That's it. And even though I'm not always 100% at both, I try my best. I do my best every day, and that's all that matters. He loves me and my dirty house, and he loves you and yours too. Jill, you are the Bestest you! So inspiring, so honest, so true to being you! I've heard you speak at Inspiration Unlimited, but never met you face to face. Yet, I feel I know you from afar---that's a gift you have, you don't try to keep the mask on! You make beautiful jewelry, I have some. Keep being you---because you are an amazing woman! I loved this article. I need to hear that again and again and again :) I am like you, a Utah Woman who struggles every day with reminding myself things don't have to be perfect. Thank you for sharing your feelings, it makes this world a little easier to survive when you know there are others out there who share the same feelings and struggles as you.